Attempts at what some say is the largest land rezone in Oregon's history were stalled by a state appeals board again. The Oregon Land Use Board of Appeals sent Columbia County another remand on its attempt to rezone 837 acres of farmland near Clatskanie for industrial use in an opinion issued late Thursday, Dec. 27. The remand asks the county to "adopt more adequate findings, supported by substantial evidence, regarding compliance with the compatibility requirement of OAR 660-004-0020(2)( d)." That's the subsection of Oregon land use laws that requires any proposed uses that fall outside of already established statewide planning goals to be "compatible with other adjacent uses." After having reviewed the same project in 2014 and issuing a remand, the issue came before LUBA again in 2018, on an appeal filed by Columbia Riverkeeper and 1000 Friends of Oregon. The environmental advocacy organizations challenged Columbia County's approval of the rezone and comprehensive map amendment in January 2018, asserting that even though the port narrowed down its list of intended uses for the land, it still failed to fully explain or qualify why so much land is needed and how the list of five general heavy industrial uses will be compatible with existing agricultural and non-agricultural activities, like fishing. In February 2018, Columbia County's board of commissioners approved the port's request for a rezone and map amendment, after the port hired a legal firm to address a 2014 remand from LUBA. In response to LUBA's request for more specificity about the types of projects and need for more than 800 acres of prime farmland, the port narrowed down five categories of proposed industrial use for the site, centered around forestry and wood products, natural gas, dry bulk, liquid bulk, breakbulk storage. Despite the remand, LUBA's opinion signals major headway for the Port of Columbia County, which has been trying to rezone the land in an attempt to expand Port Westward Industrial Park and bring more industrial uses and jobs to the county since 2013. Among the proposed projects at Port Westward, if expanded, is a methanol refinery and a biofuels plant. In its final opinion, LUBA rejected eight of the nine arguments made by Riverkeeper and 1000 Friends, affirming its agreement with Columbia County and the port on nearly every issue except that of land use compatibility and adverse impacts. The Port issued a statement Friday, saying it was "pleased" with LUBA's decision. "It was remanded because they needed just a few more details around that one question," Doug Hayes, executive director of the port, said by phone Friday. "They just need more detail of the compatibility of those five categories of usage." 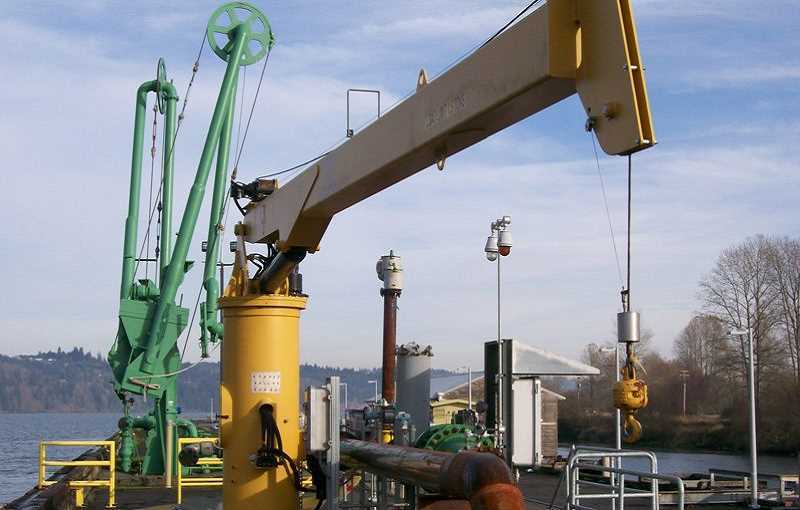 In a news release Friday, Hayes said Port Westward is one of only a few deepwater ports on the Columbia River, and as such, has "received interest from multiple companies looking to invest in Port Westward with the potential of creating hundreds of jobs." Hayes said he and port officials are in talks with the agency's attorneys to figure out the agency's next steps and timeline, but said he's confident the port can satisfy the state's questions and provide the information requested by LUBA. "A lot of that stuff is readily available," Hayes added, noting "this is going to be a landmark case. This would be the largest rezone in state history, which means LUBA is going to be very deliberate in its decision." Columbia Riverkeeper issued a statement Friday, following LUBA's decision, marking the remand as a win for opponents of the rezone project and an opportunity for the county to scrap the rezone efforts. "Today's decision opens the door for Columbia County to protect high-yield farmland and strong salmon runs," Jasmine Zimmer-Stucky, senior organizer for Columbia Riverkeeper, stated in a news release. "Industrializing rural Columbia County with dirty fossil fuel projects like fracked gas-to-methanol refineries and oil-by-rail ignores the public's legitimate concerns about health and quality of life impacts."